Our team of experts partners easily with other contractors involved in large commercial projects. We’re courteous and professional team players eager to see your project through from start to finish. Make blown fuses and tripped breakers a thing of the past. 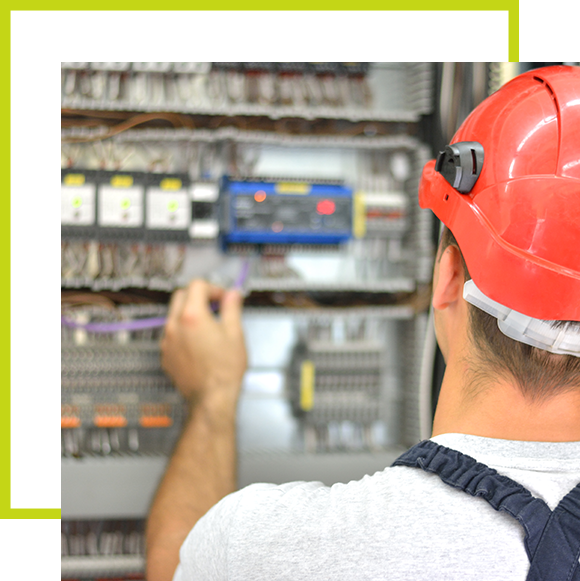 An upgrade to your electrical system will allow your facility to run electricity faster and more efficiently while reducing maintenance costs and technical hiccups. Keep your space a safe place to work or play. Worn out electrical equipment poses a major safety hazard. A service upgrade could mean saving your employees and patrons from an electrical fire. 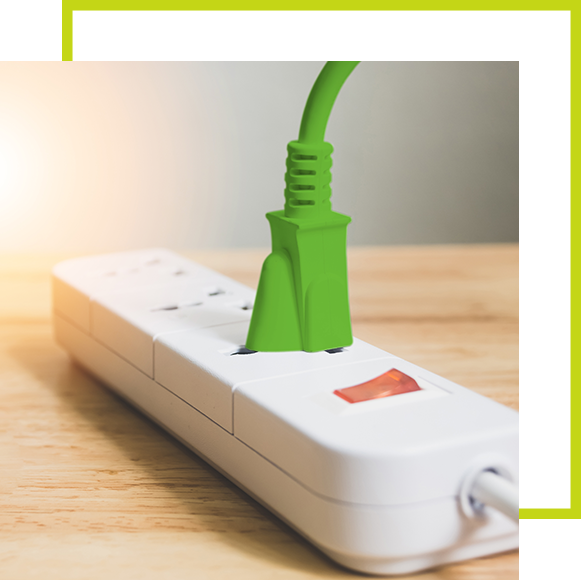 Energy-efficient electrical systems can reduce energy use by 80%, saving you money and earning major brownie points with Mother Nature. Extend the life of your commercial space. Improve overall functionality and resale value of your space. Stop changing your light bulbs every week. 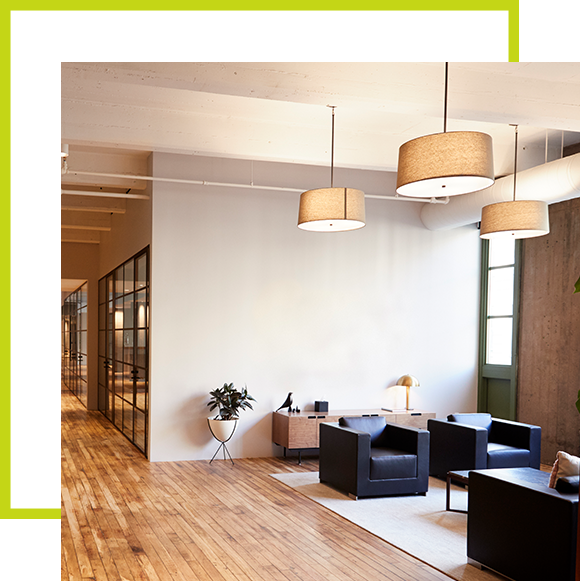 Outdated lighting fixtures are responsible for much of the energy waste in commercial spaces. We provide custom lighting upgrades to increase efficiency and improve your aesthetic. Save money and help the earth. Efficient lighting upgrades can decrease energy usage and waste by 80%, keeping your wallet (and Mother Earth) a little greener. Increase productivity and safety for employees. 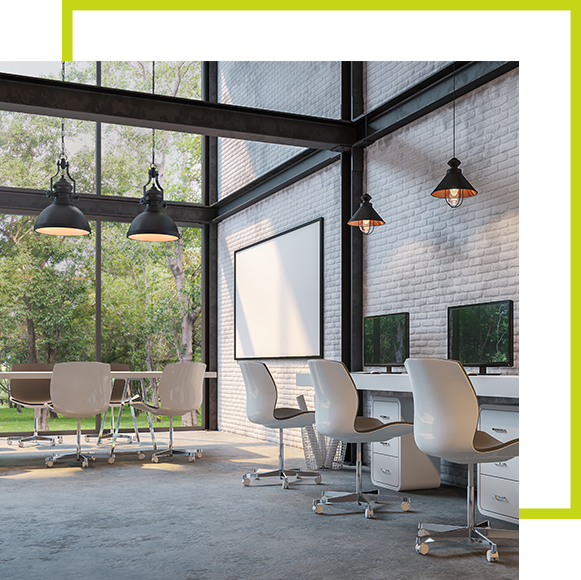 Lighting has the ability to affect people’s moods and dynamic lighting systems have been found to increase productivity. Eliminating darkness in hazardous areas is also important to employee safety. Lighting is just as important as flooring or paint. Designing a new space takes acute attention to detail. 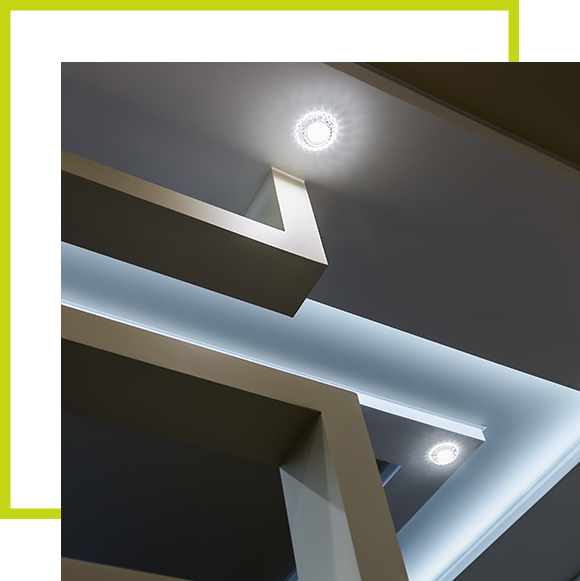 As electrical service designers, we understand how lighting interacts with space. We work diligently to fulfill each customer’s unique vision before and after the drywall is hung. 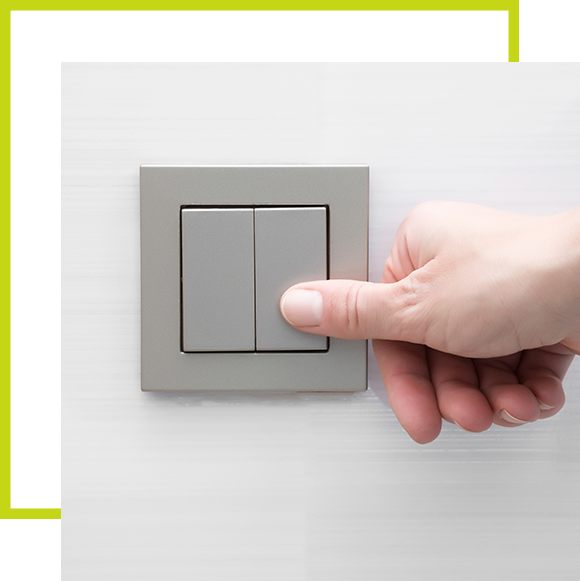 We do it all, from wiring to light switches. Whether you’re remodeling, renovating, or making an addition to your commercial space, our full-service electrical team is qualified to make your space beautiful and functional, from total system installation down to individual controls.